Happy birthday to The Wiggles! They're turning 25 this year! Do you have any Wiggles fans in your household? I know I do! My kids were very excited to hear that The Wiggles are coming back to Pittsburgh on September 27th at The Byham Theatre. Coming off a smash hit Australian tour of 220 sell-out shows and more than 110,000 tickets sold, the world’s most popular children’s entertainment group, The Wiggles, will return to North America this fall for their “Wiggle Town!” tour. Ready to delight families across the continent with their incomparable brand of preschool entertainment, The Wiggles will be celebrating their 25th birthday and supporting their brand new CD and DVD, Wiggle Town!, as well as a new season of their hit TV series airing on Hulu in the U.S. and Treehouse in Canada. 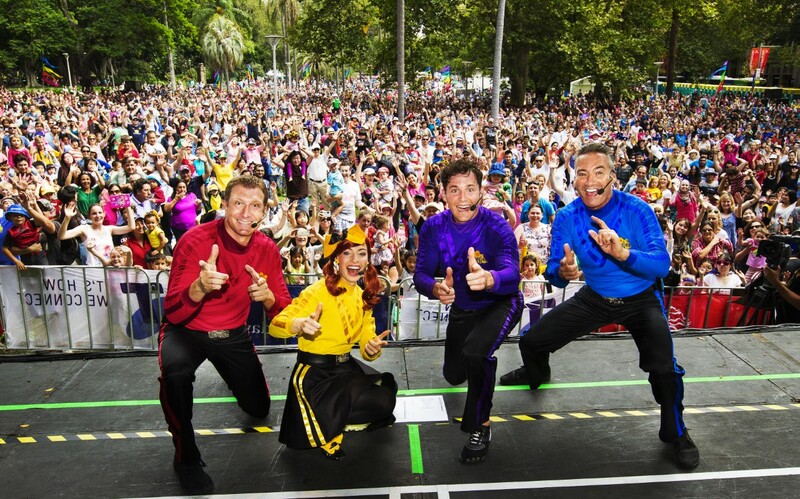 Joined on stage by their lovable friends Dorothy the Dinosaur, Captain Feathersword, Wags the Dog and Henry the Octopus, founding member Anthony Field (Blue Wiggle), Emma Watkins (Yellow Wiggle), Simon Pryce (Red Wiggle) and Lachlan Gillespie (Purple Wiggle) can’t wait to deliver a wiggly good time for their audiences! “We can’t wait to welcome everyone to Wiggle Town!,” said Emma. “Of course we’ll play our classic wiggly favorites like ‘Rock-a-Bye Your Bear’, ‘Fruit Salad’ and ‘Do the Propeller!’ affirmed Lachy. Simon added excitedly, “The North American tour is always one of the big highlights of our year and I can't wait to sing, dance and play ‘Simon Says’ with all our wonderful North American friends!” “We are so excited to be taking our Wiggle Town show to our friends in North America, the audiences will be hearing, seeing and singing along to all their favorite Wiggle songs from the past 25 years of Wiggling! We cannot wiggly wait!” enthused Anthony. 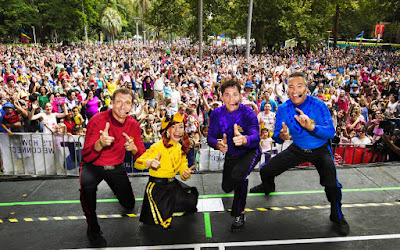 We have two tickets to give away to one lucky winner which also includes a special meet + greet with The Wiggles before the show! Enter below. It's a one night only show so go here to purchase tickets before they sell out! The “Wiggle Town!” tour will include new music from the Wiggle Town! album. Kids will shake to “Come on Down to Wiggle Town!,” bop to “Do the Pretzel”, and heel-toe to “Captain Barnyard Dance” – just to name a few. For a complete list of tour dates and ticket information for the “Wiggle Town!” tour, please visit: www.thewiggles.com/events. 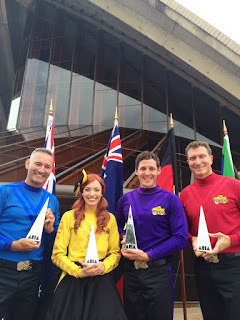 Facebook.com/TheWiggles or follow them on Twitter via Twitter.com/TheWiggles. 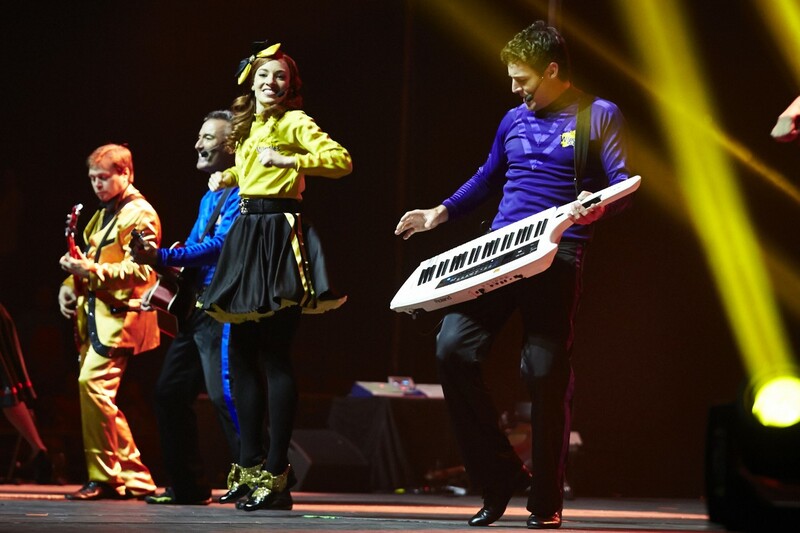 You can also see behind-the-scenes of Wiggly life and stay up-to-date with Wiggly news by following the gang on Instagram @thewiggles. Peyton loves to watch the wiggles! My daughter has watched some of the Wiggles shows/movies. She enjoys them! My daughter would LOVE to go see the Wiggles!!!!!!!!!!!!!!!!!! My son loves to dance to the Wiggles! 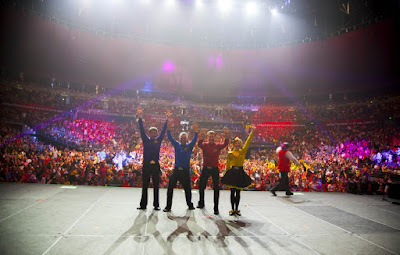 All my kids loved the wiggles including the baby of our family who is two. She would love to see them! My 3yr old would love love love to see the Wiggles! Oh wow! I could not think that so many tickets have already sold to their concert. I have to rush to the ticket purchase, it will be necessary to look at this site https://ticketcrab.com/classic-rock-tickets, is there a discount on the purchase.